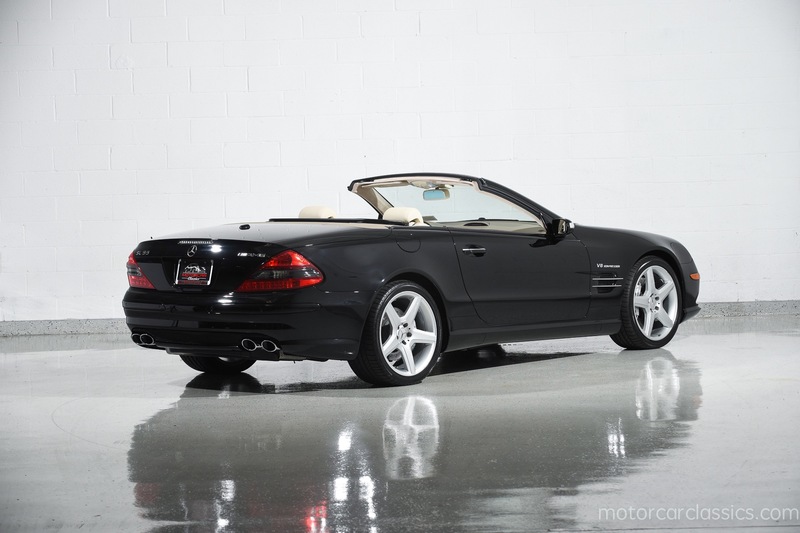 2007 MERCEDES BENZ SL55 AMG for sale. 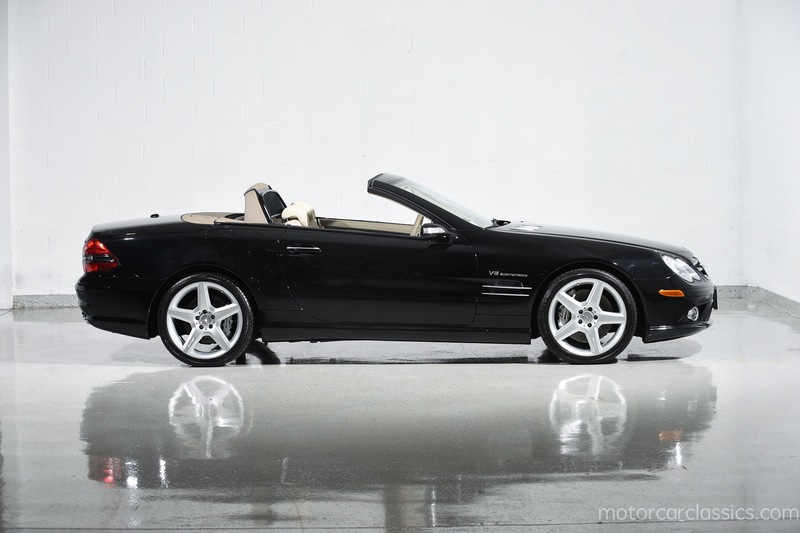 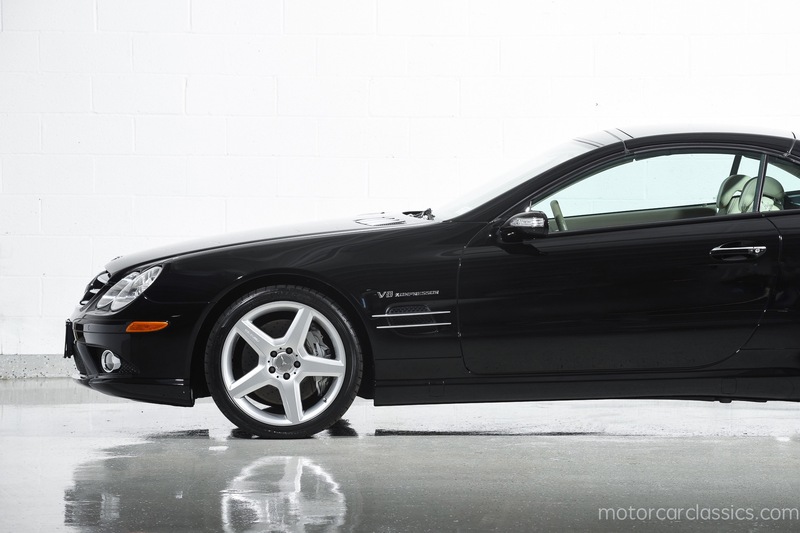 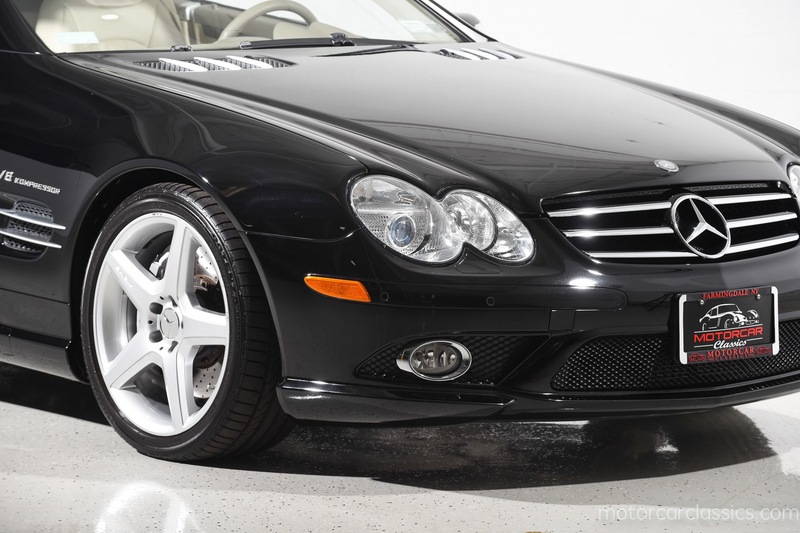 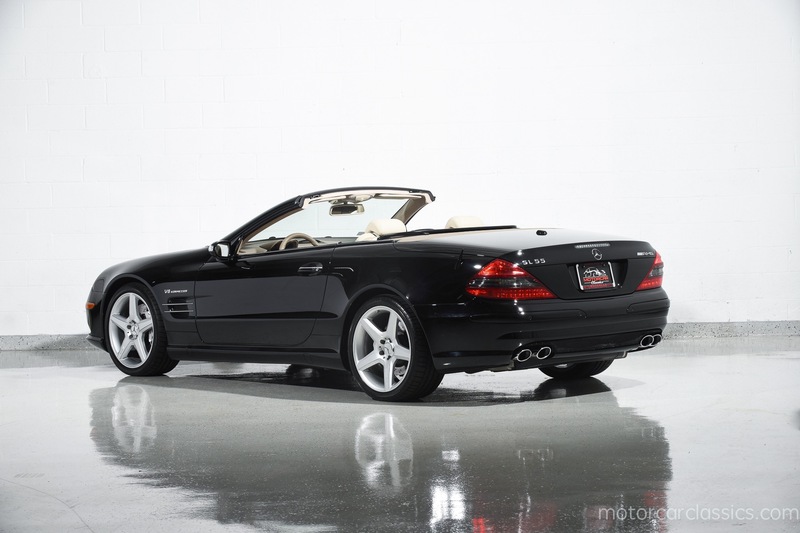 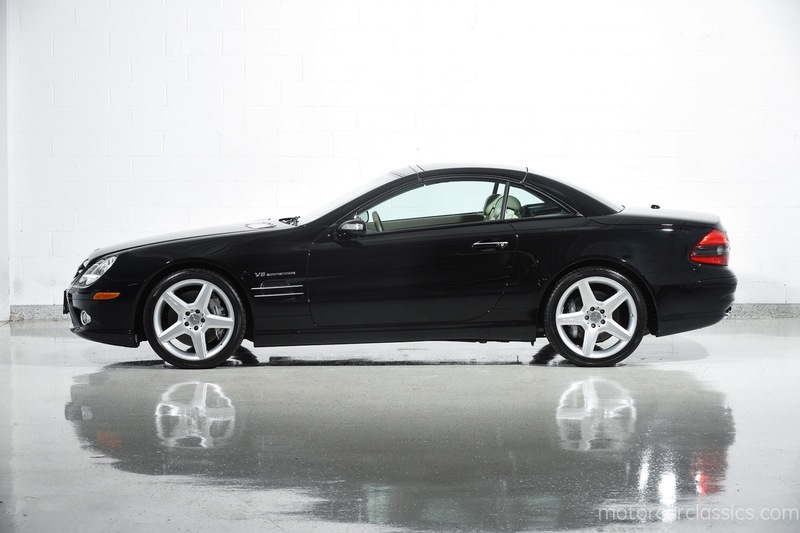 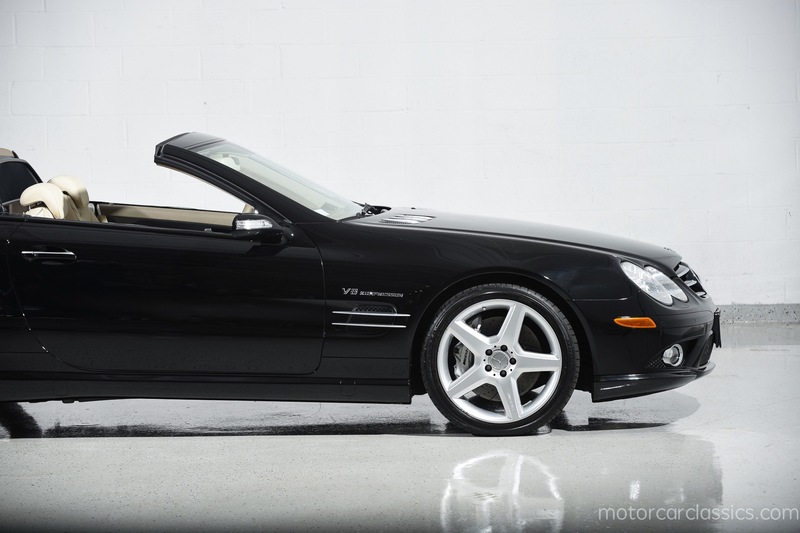 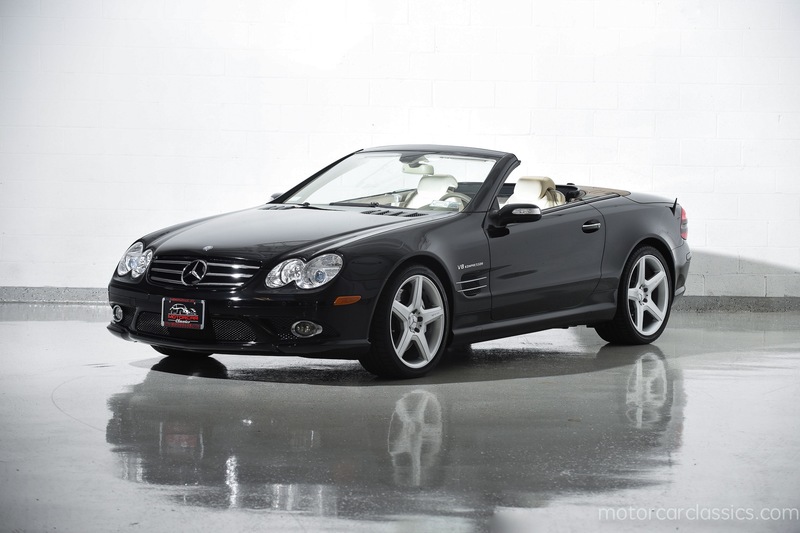 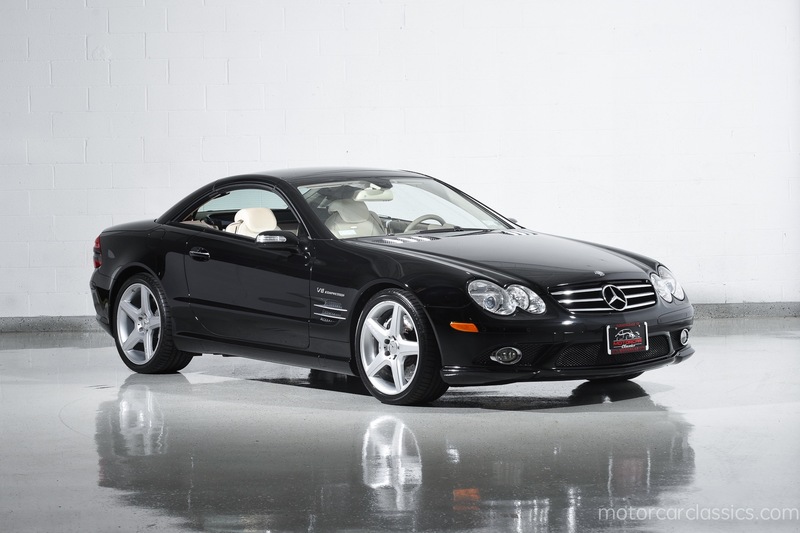 Motorcar Classics is proud to present this stunning 2007 Mercedes Benz SL55 AMG featured in Black with Beige leather interior. 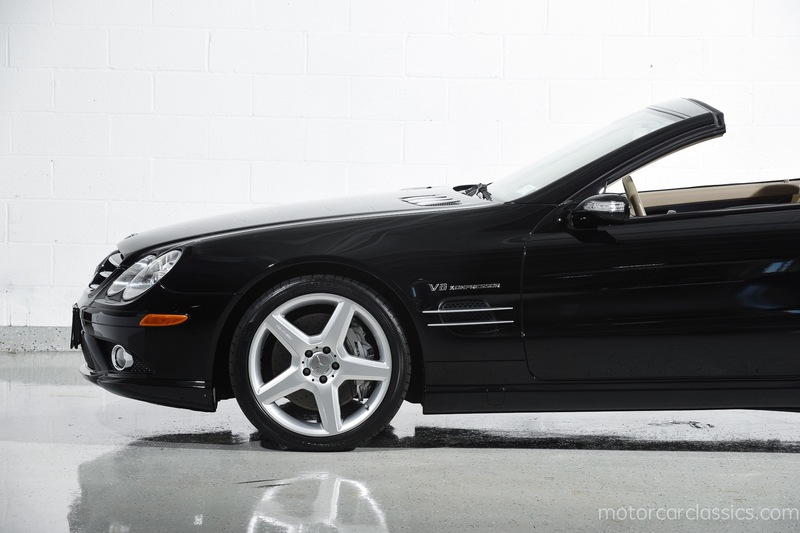 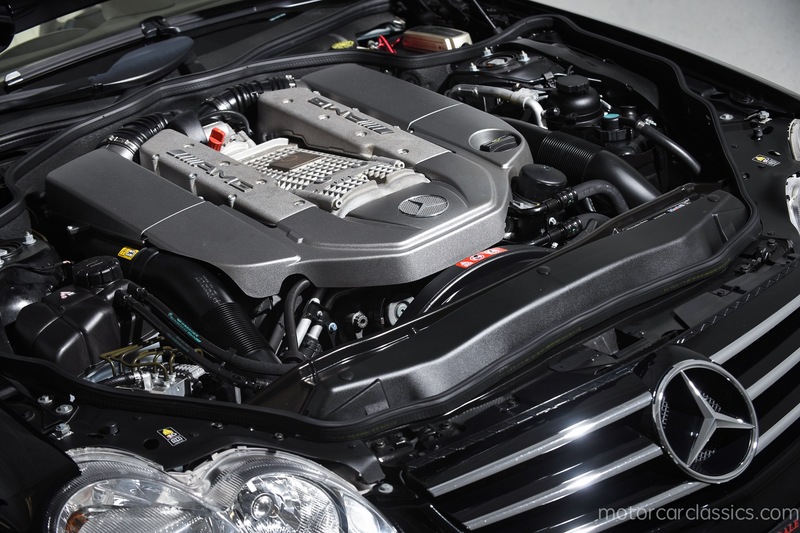 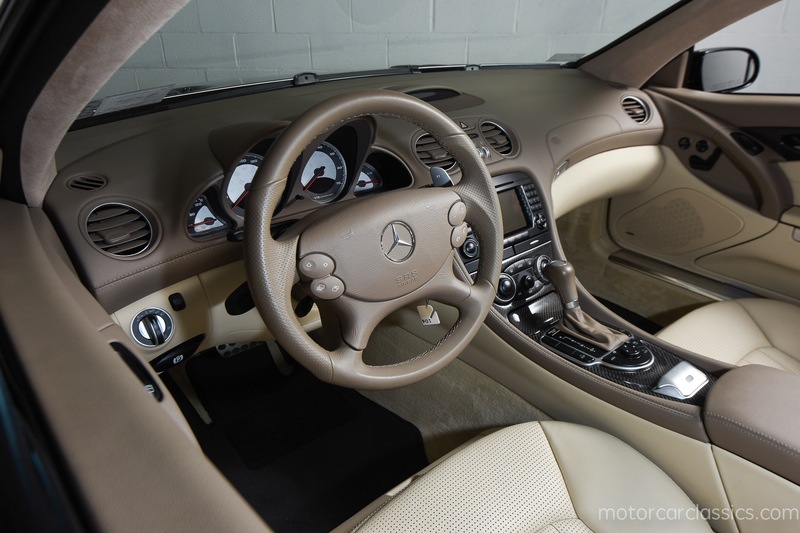 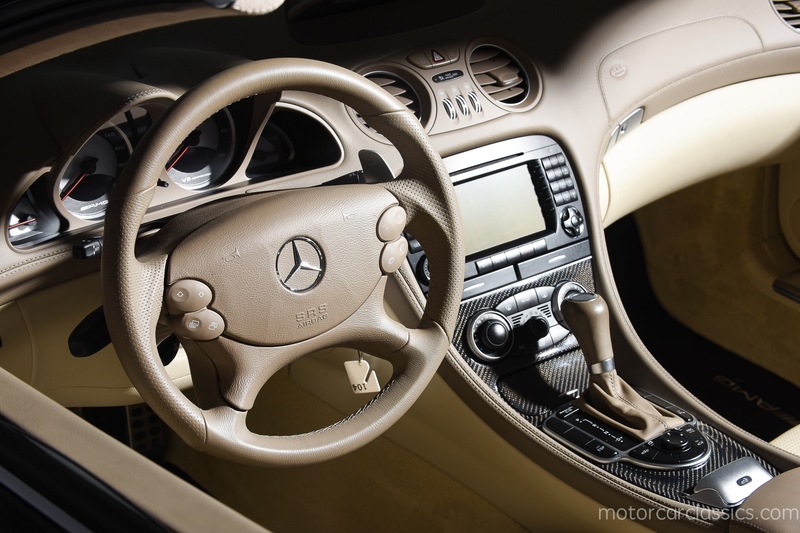 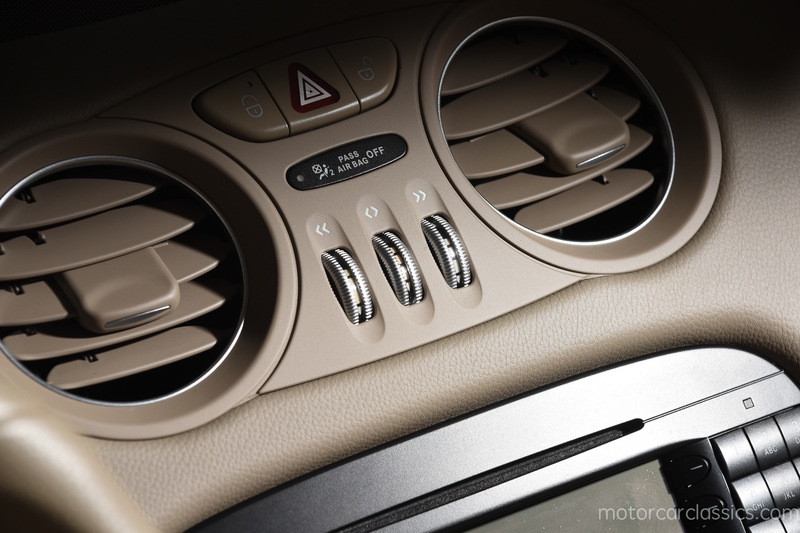 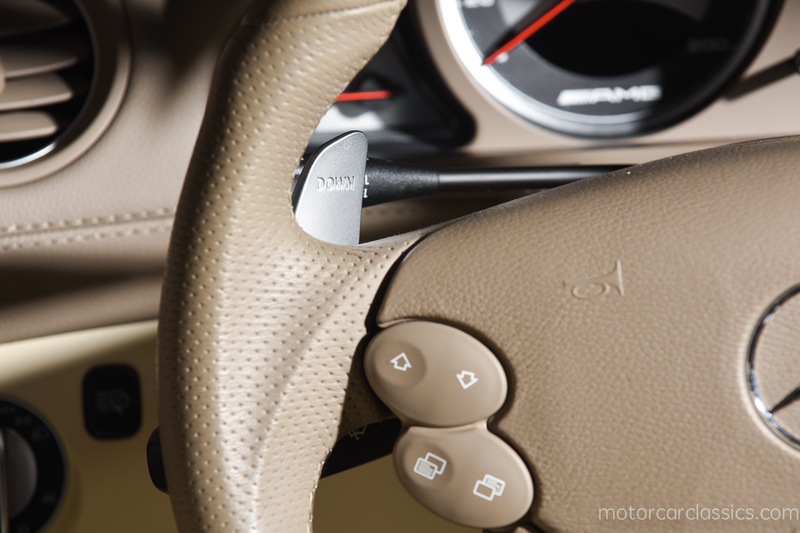 For 2007 the SL55 AMG has a staggering. 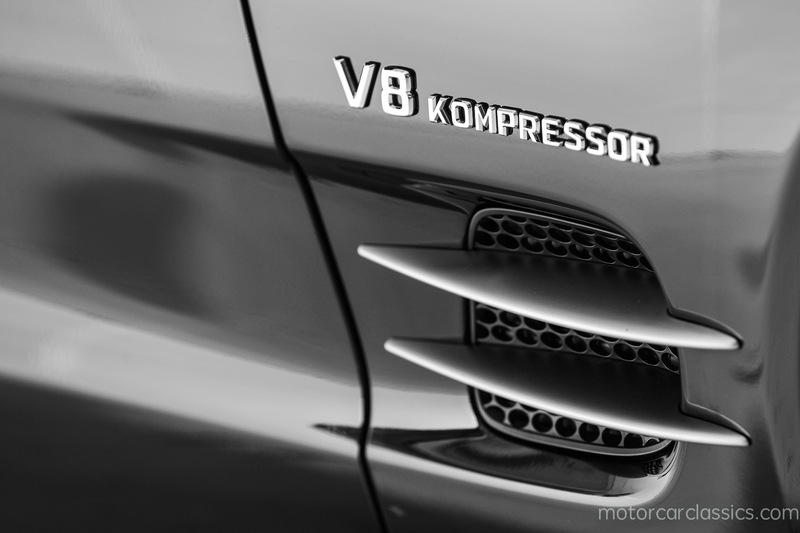 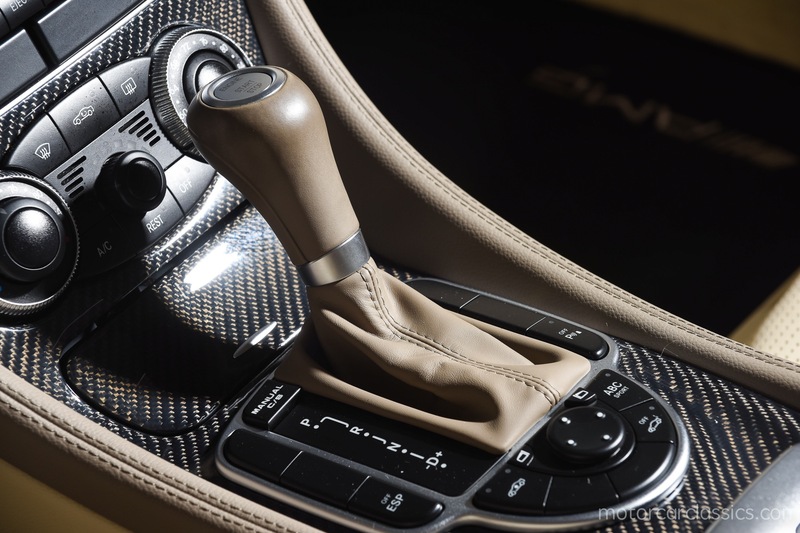 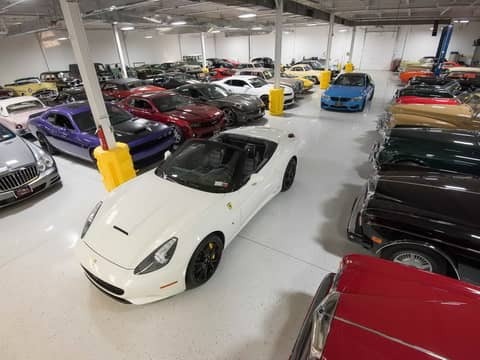 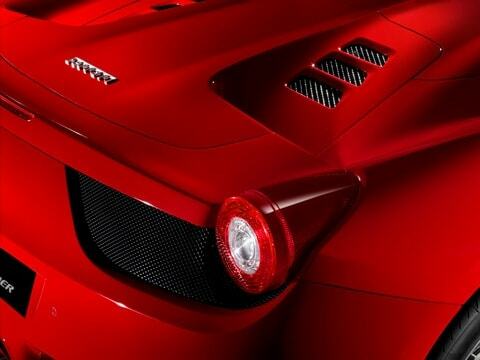 A 510-horsepower supercharged V-8 engine, fingertip manual-style shift paddles for the 7-speed transmission, race-bred high-performance brakes wth 6-piston front calipers, and a retractable aluminum hardtop. 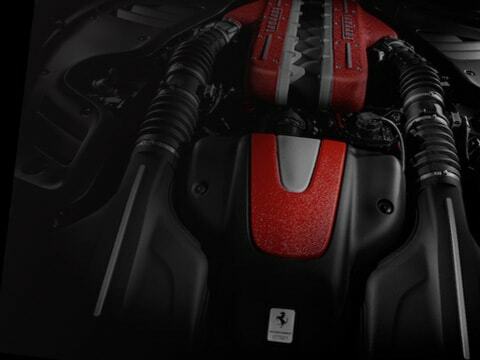 Performance is awesome with 0-60 in just 5.3 seconds. 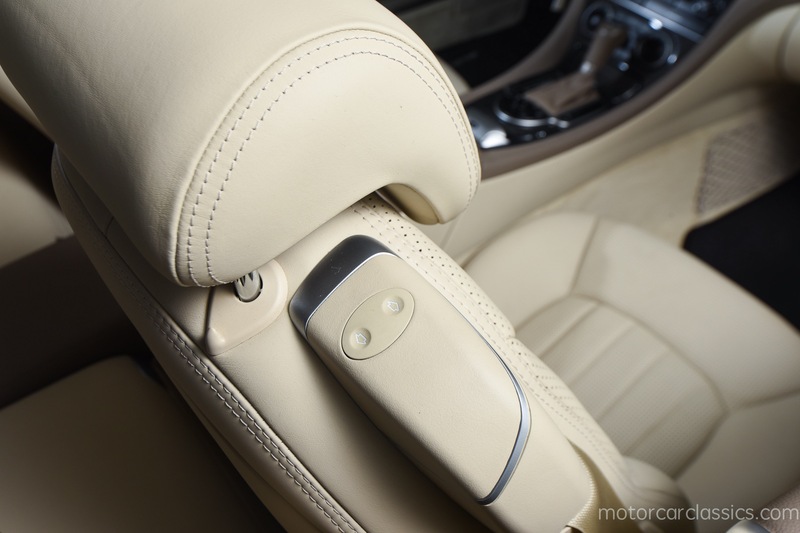 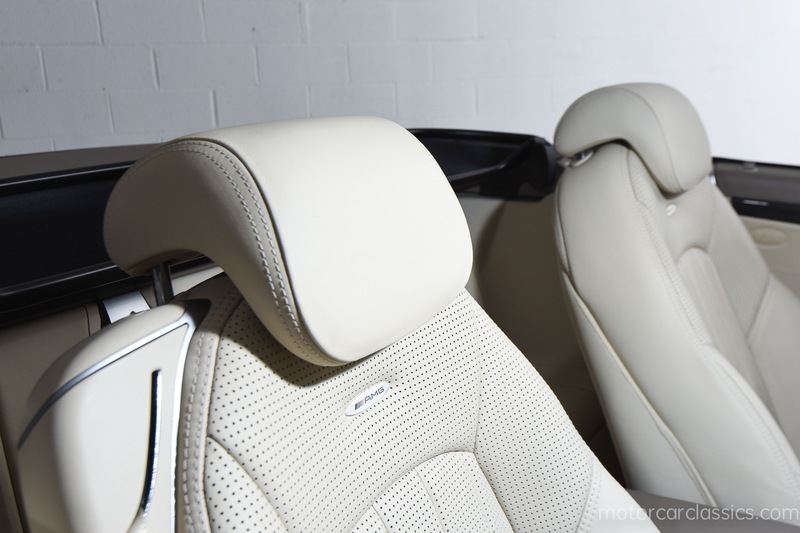 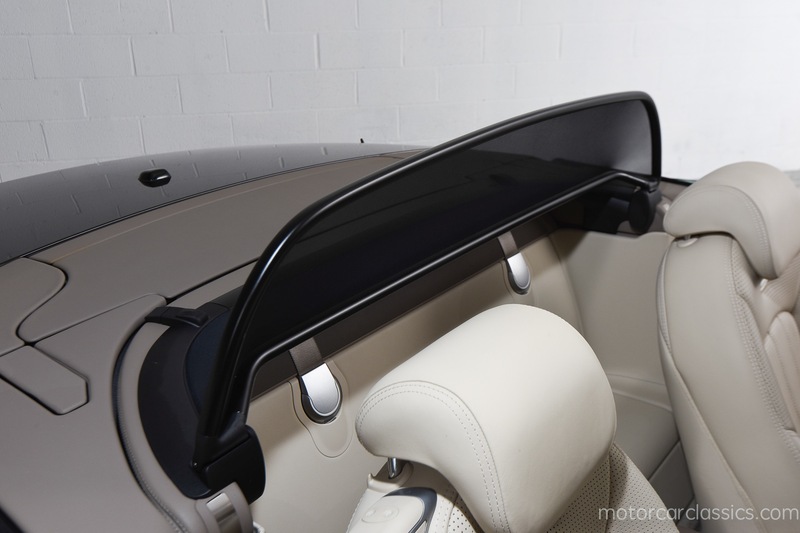 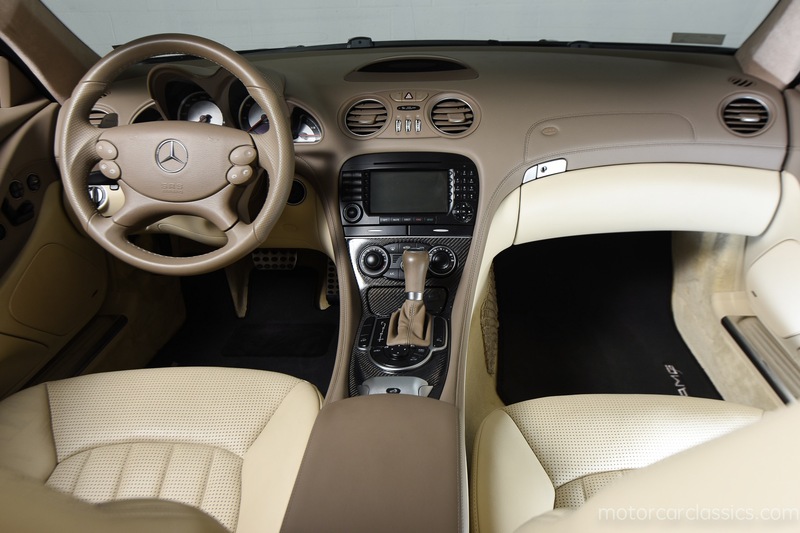 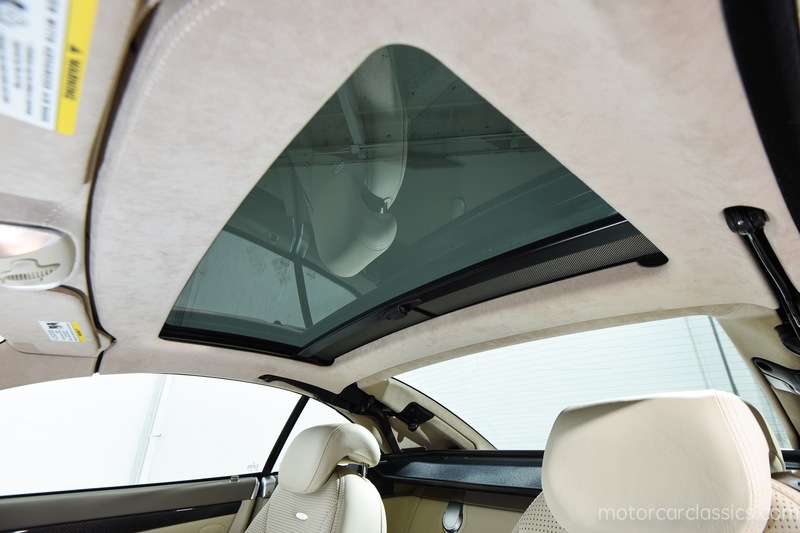 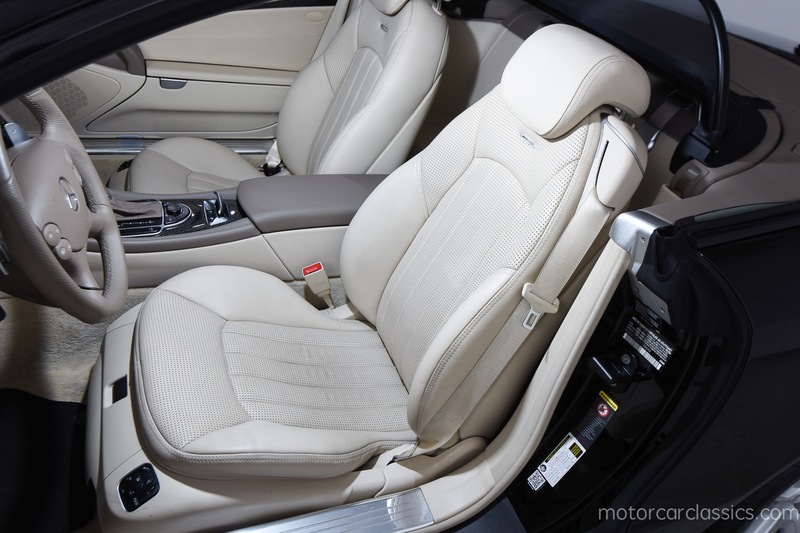 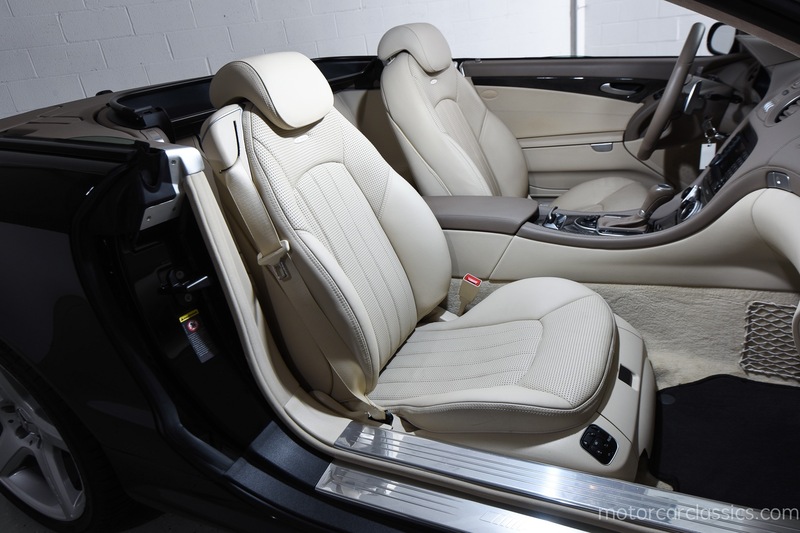 This car is loaded with Mercedes and AMG luxury and safety amenities and it has the very desirable glass Panoramic Roof. 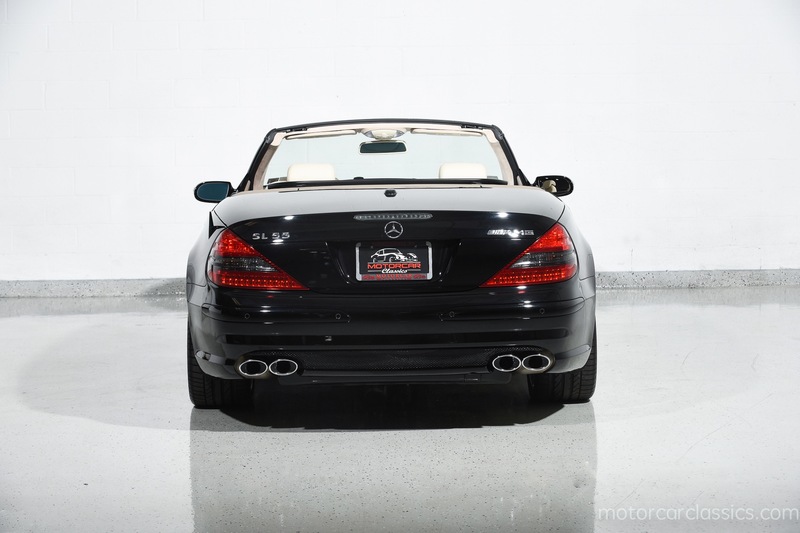 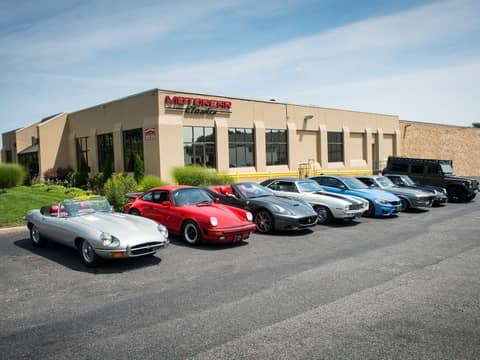 This is a one-owner car that has been cherished from new with only 10,888 miles. 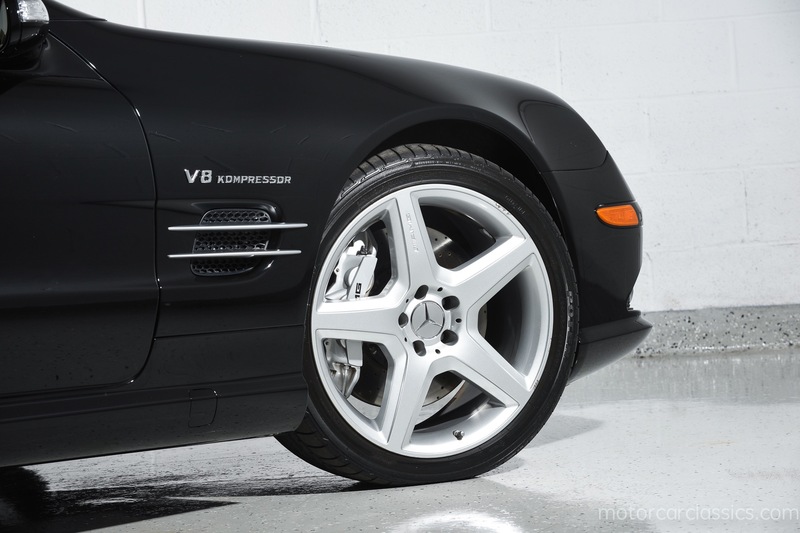 It is as-new in all respects. 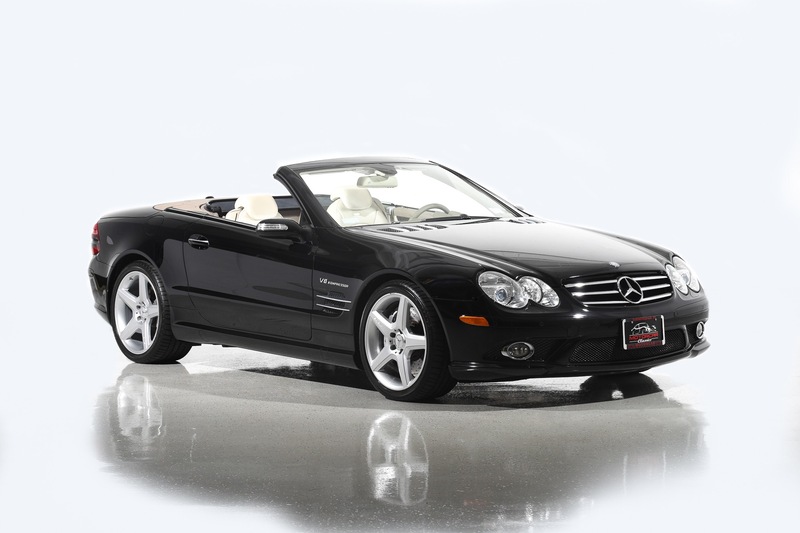 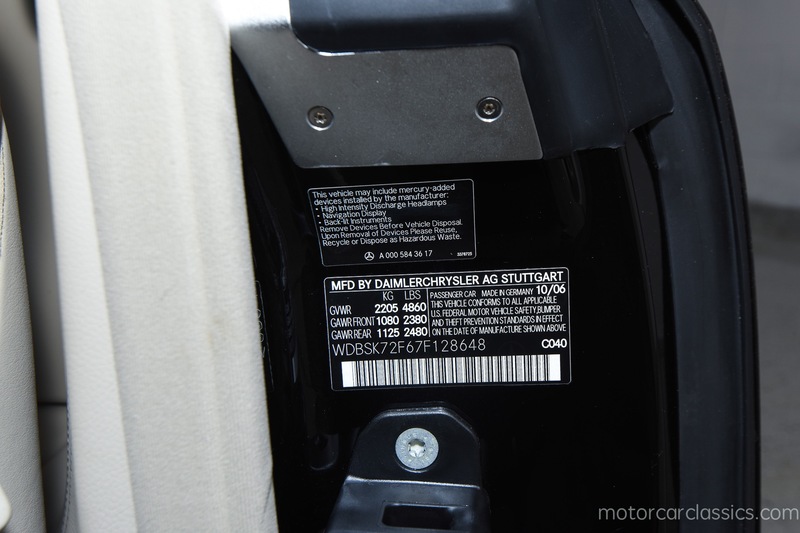 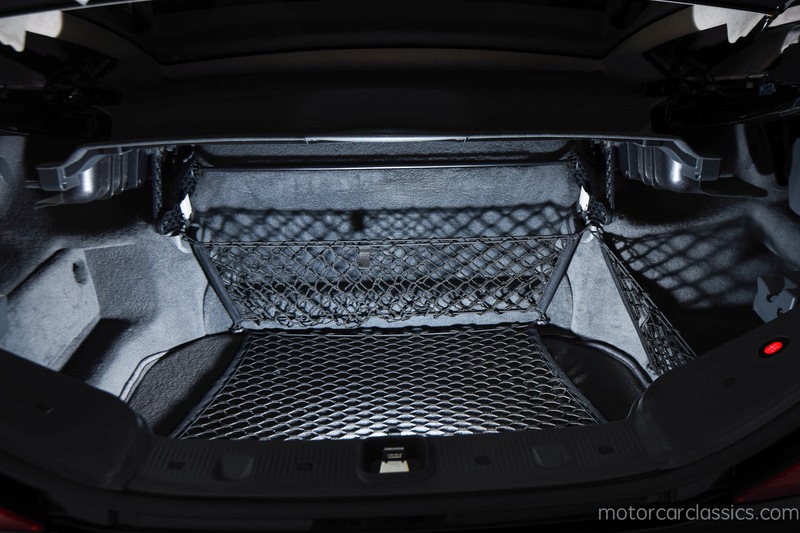 The Carfax Report shows that it has been dealer-serviced and never damaged. 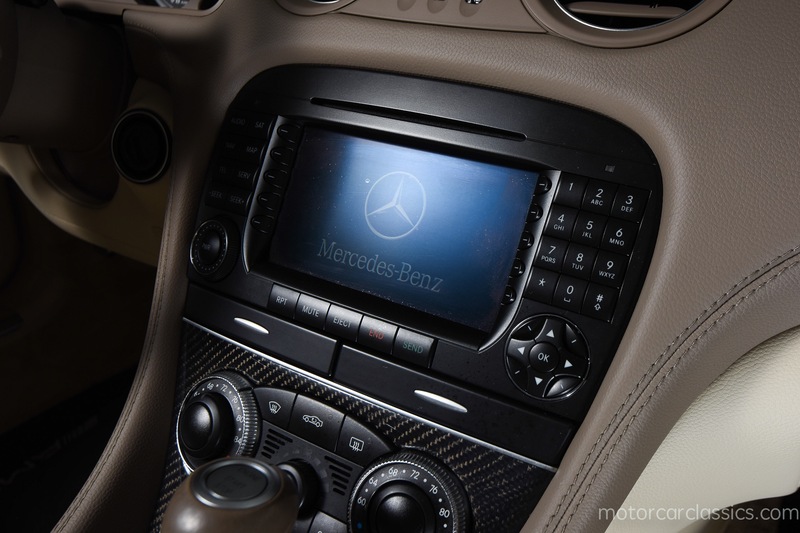 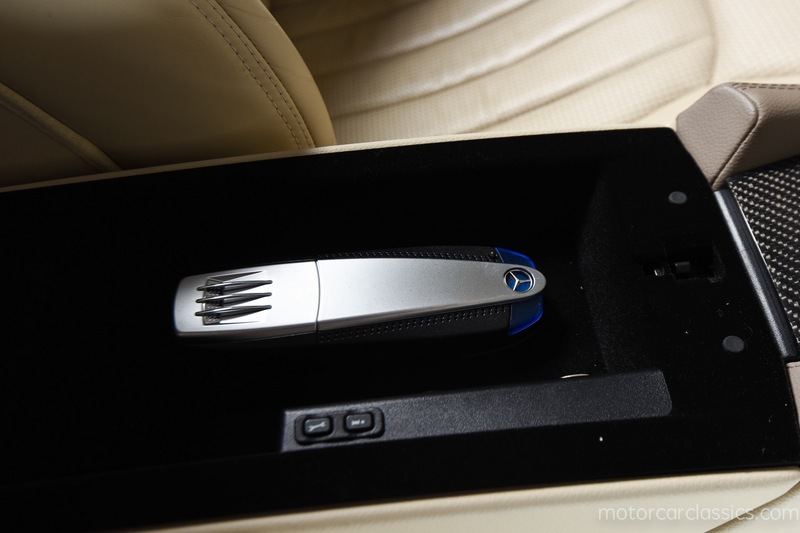 The MSRP was in excess of $128,000. 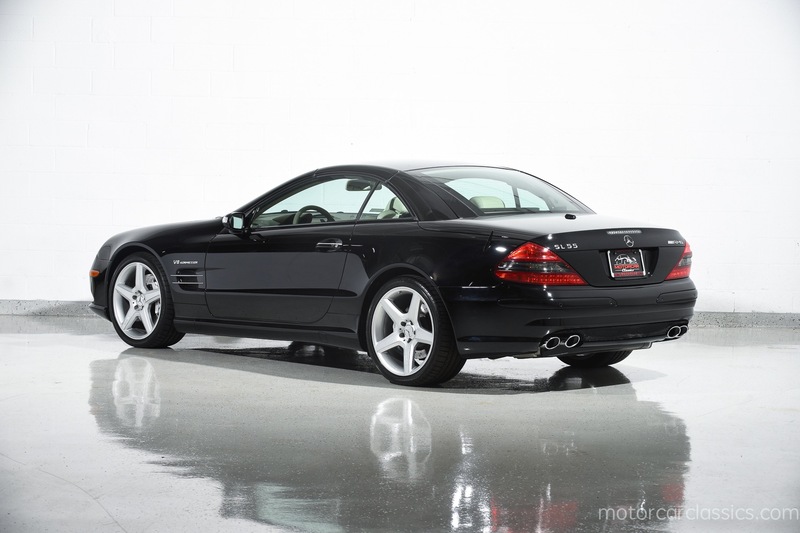 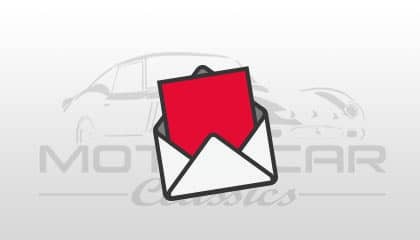 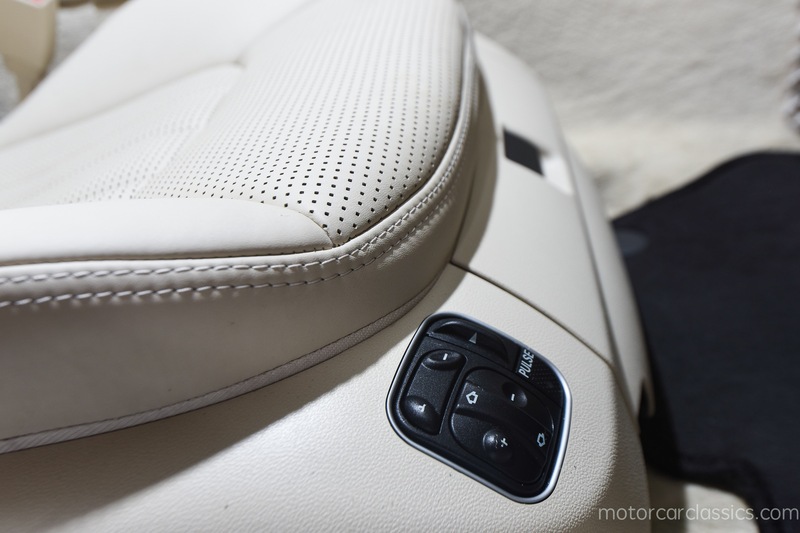 Among late-model Mercedes is is one of the few that is likely to become collectible.